I’m a sound artist, musician, and performer, born and raised in Brooklyn, New York. I collage together sound steeped in magnetic tape aesthetics, and I use sounds on the common cassette tape as my instrument. I’m a tape DJ. An ancient and future sounds DJ. I say “sound artist” here because through my sound practice, the process that I use to compose sound artwork is a spiritual, conceptual exploration of where I stand on the contemporary cyborg continuum, and I’m exploring those concepts in sound. As we externalize our nervous systems into increasingly sophisticated devices, synthesizers, samplers, sequencers; what is making the music at any given time? Making artwork today that uses recorded media as its source material, I feel like the contemporary information warfare zeitgeist we live in makes it important to be constantly critical about where your media is coming from and how much “integrity” it has as it relates to the self. I’m not a luddite or an analogue / digital purist by any means, I just want to know what’s going on, you know? Viscerally, physically, in the making of artwork. There’s something comforting about my media mostly coming from piles at my feet. I’m trying to remake recorded material from my life, and contemporary sensory life is replete with slick attention hijacking almost at every moment. So my work is kind of like performing anti-brainwashing rituals for myself. I have to admit I fail most of the time. Still, I can have the freedom to consider, in the time-bound folds of a tape loop, that time and life is not just for endlessly rushing forward consuming till death, I can create a space for revisiting the past, the ever cut-up present, and help divine the future through these musical processes. So that’s what sound art means to me, currently. Using attention to the sonic environment to fight the brainwashing. I put “musician” here because regardless as to why I do anything with sound, I try to humbly situate myself amongst the world-spanning musical tradition, in that music as a craft is a pillar of human expression and the output of the daily plying of this trade has a relatable impact on all humans. So seeing oneself as a musician is in some way to try to recognize sonic impact over sonic intent and realize that “music” as a sound practice is located in the web of interconnected social fabric that exists between people making and listening to sounds as music. It’s really about something you do that someone else hears and the recognition of sound as a nonverbal communication medium, as well as an extremely intimate form of communication between practitioners. I really enjoy and get a lot out of this tradition of world walking bards, heads, jammers, tapers, nerds, weirdos, and citizen-musicologists, and I’m trying to ultimately make something that people listen to and get something out of (as opposed to, say, the conceptual motivations). Lastly, I put “performer” here because the different mindsets that come with studio composition and live performance is important to my work, and I try to do a percentage of sonic decision making in a ‘live’ context. Non-live composition, especially for collage based media work I’m making, then becomes developing systems of sound relationships that have different probabilities of success or failure, and have these systems and decisions play out in a live setting. Performance is important to me as both a composition tool and social ritual. It’s a really potent human tradition. I’m working on bringing something new for Roulette. New for me anyway. It’s called Time Boiler. Where I boil down some time. It’s an expansion of writing and music I’ve been making on the subject of time travel and ethics. Treating time travel and the mindset it requires as real and then working backwards from there to come up with how I remain an ethical human in all of that. How I remain myself. And how the time traveling mindset can reference and illuminate today’s society and the tyrannical control we are asserting over our reality and the reality of others. I think the practice and craft of music keeps one moral and honest, but that’s just me. For the past year I’ve been trying to expand my mind on the subject of time itself, which is sort of an outgrowth of my music practice in general. My music is made up of bits of sound from other times, and when I put them all together in real time, in a particular now, I feel the intense compression of time going into that moment, since my samples are frequently years old, mixed with things I just recorded. Music, as a medium ripped free of its mode as purely “personal expression,” is ultimately a “time binding” art form, where we fuse intent with what I consider a probing, a testing of reality via the body. Even when I don’t know who made a piece of music, I can hear it’s time-specific qualities, it’s made with machines and at a fidelity and style that correspond with a particular moment in time. Music is so hyper technological these days, that you can hear the time something is from via the the aesthetic qualities of the tech they are using. Even a recording of, say, a solo violin piece feels futuristic to me when recorded and reproduced in intense modern hi fidelity. if you reverse that consideration, it’s “a way to tell time” or to explore time. especially, I believe, right now! The act of making music is so time expansive, that during the act itself time does really weird stuff, shrinks down to where I’m exploring fractions of a second at the same time as focusing on an hour. This is almost a horrible insult to music in a way, as I’ve been speaking about music as collections of time and not how it sounds, but this is the most basic way I can try to understand what’s going on, since the sounds themselves are the things that conscripts my soul and makes for a compelling thing to listen to for others. There’s what you mix and then a how you mix it, and in my process the what, the actual sounds, grips me in the moment, leaving the how to be a more conceptual exploration of time, through how I make, organize, and relate to the tapes that I mix. I’ve just, lately, been thinking about what sound does to me and that leads to considering when it comes from, what it is, where every piece of the sound has an origin in thought or in time. I’ve been making sound work about this experience, which I feel like leads nicely to the recursive nature of my work in general; time chunked up and remixed, about time, in a time. So this new piece Time Boiler is my attempt at synthesizing these concepts into a performance. And speaking about the performance, it’s important for me to use this opportunity at Roulette to attempt something that could only happen here, this being about time there has to be a trail aspect to the performance, so I’m setting up a few precarious musical feats I have to pull off and there’s no guarantee I’ll succeed. I mean I can practice, but there has to be this aspect of “even a failure will be specific to this time here.” I’m “racing against the clock” like we all are if we let ourselves. And the good thing is that any failure will just be another piece of music to the listener. No ones dying on a table if I can’t pull this piece off. Another idea I’m exploring in Time Boiler is that of the rarified time object. Since I work with cassette tapes to hold my samples, there’s this solid touchstone aspect to sound that over the years of playing various samples I start to get really attached to specific tapes. Like I fetishize them to an unhealthy degree. So for this piece, I’m exploring making the tapes super crazy to the point where they could be treated like holy objects. There are only one of these tapes, and that weird sacred quality will then extend to the sounds that I put on these tapes, and these qualities will extend into affecting how I situate these samples into the overall composition and performance. I like relating to each sample as a physical object. I find it to be a mentally healthy consideration to have with sound. I get really angry sometimes at all the samples I have on my computer, like “what are you even doing in there in that dumb place.” Just numbered files sitting in a list in a simulacra of a folder in a box. Putting them on tapes frees me to really play with them, juggle them, get a physical grip on them. And making them increasingly crazy looking then effects how I come to feel about them and subsequently how I play the sounds contained therein in a piece of music. I’m trying to unite all the different factors of what truly goes into my musical performance moment to moment. What is it like living and working in New York City? My dreams are crazy right now. Like full on sci-fi wonderland dreams with sequels and reboots. It’s making me question my memory and my waking life. My memory of these dreams is so intense, but it always comes with the feeling that these memories can only ever be half the story, or a third of the story. Are my dreams lies? Mis-remembered? Are they nonsense? Are they deeper truth? How could a labyrinth made of creosote logs that is also a submarine lit with jars filled with fireflies have some deeper truth? Or are the stories that affect me like what happens in my waking life? I’m psyched about this — its going to take me the rest of my life to figure out. I suppose it’s something we all have to reckon with, but I’m excited about it. I’m probably going to make some sort of…card game?…out of my dreams. Not sure. It’s going to sound funny but I’m really excited about how the human mindset is reacting to contemporary technology and how its going to require this intense criticality about what kind of information we take in to even survive with a sense of self, it’s already happening and these last few years has really shown that the casual violence of human communication can be harnessed into a psychic environment that conscripts us all. So that usual background notion of achieving or living in some type of “freedom” is going to be harder and harder to find without a new generation of intense criticality about what we take in and how. I have hope it’s going to lead to actual resources for leading a healthy life, because we all know how good the internet is for getting the same old poison into our psychic systems. So I would like to focus on and promote the good tools, not the bad. And I’m excited that it will be harder and harder to ignore the bad parts of human society. It’s all coming out now. The masks are slipping. Wandering, just wandering around everywhere. The places I really like are the connective tissue of the city. I just like sitting on a random bench somewhere. I like going into a places I’ve never been. Rejecting what the phone tells me. How did your interest in your work begin? For me, there is a strong mental relationship between sound and narrative. Successions of sounds are sentences; a song is a paragraph. Sound as text. I started off when I was younger in love with words and what they do, their limits and advantages. Every sound I work with evokes some sort of story to me, but this is distinctly related without using words. It’s incredible that smashing sounds together can do this through the medium of the human brain, and my work is an attempt to plumb the depths of this relationship. Articulation can achieve clarity but kill innovation; saying something well trumps saying something of substance, etc. sound is a medium of different possible meanings existing in the same moment in time. Articulation with words fixes its nature, collapsing meaning back into an either/or realm that we are trained for. Even recording sound onto media fixes its nature and allows it to be remixed, further collapsing its potential meaning. I’m interested in sound recordings as texts of my memory and fragments of my own story, but I’m trying to discover associations that will lead me into my own future by cutting up and collaging my past. I’m extremely interested in forging a path through sonic art despite my training being firmly outside musical tradition and training. I think there’s a way to approach sound art as story making, and even if I sound like an idiot along the way, I’m interested in the outcomes of working deeply with these tools and concepts. Time travel and the chasing down of what it means to be an at a particular moment in time, and how we go about relating to our past and future selves, who we can only experience in the present. Trying to expand my consciousness through complex performance rituals and the time-specific concepts of hope vs. truth in time and as it relates to how we live half on and half off the Internet now, where time is compressed. To do something even if you can see into the future, is to have hope, to have an audacity, a type of insanity. The truth of things might be hopelessly cynical and rational and risk-averse, being right on the Internet now stands in for action or community, but hope for a better world and the values that hope requires still are important, even if you have a time machine and have tried and failed a hundred times to change the past, or see the future that might be inevitable. You still have to try, un-cynically. I might never make the nicest, most palatable music manhandling my sound memories on tape, but I can exemplify the seeking values of wonder by experimenting. I am a percussionist living in Bushwick, Brooklyn. I perform avant-garde jazz and new classical music and am starting to learn more about Brazilian and Cuban rhythms. Some of my favorite artists in New York right now are So Percussion, Roomful of Teeth, and Zeena Parkins. I currently study with Josh Quillen. I was born in 1991 in Park Slope and went to the children’s YWCA program next door to Roulette. When I was five, my family, who had lived in a huge Fort Greene brownstone for nearly twenty years, moved to an old house in Sleepy Hollow, NY. 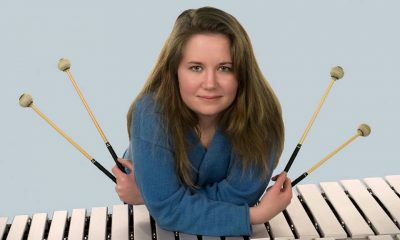 I began studying music when I was six, first piano and then percussion, in private studios. The public schools also had great music programs with jazz ensembles, orchestras and musicals. I remain close to the directors at Sleepy Hollow’s Junior and High schools, offering workshops and participating in the music honor society. After high school, I spent a number of years on the West Coast, first in Oakland, CA to attend Mills College where I pursued percussion performance, studying with percussionist William Winant and improvisation with Roscoe Mitchell. I continued my musical studies at CalArts in Los Angeles, receiving an MFA in percussion performance, studying Brazilian, Indonesian, Electronics, African, and North Indian music with percussionists, Randy Gloss, Amy Knoles, and David Johnson. After my masters, I taught full time as a general music teacher at an elementary school in Compton, Los Angeles. It was one of the most rewarding experiences in my life. I’m still in touch with my students. I returned to New York in 2017 to live closer to my family. I missed seeing my niece and nephew grow up and I really missed the New York Yankees. Also, New York City is the city where many artistic collaborations are happening. As the program develops, I have invited more of my colleagues to join the program, such as Brian Adler’s Human Time Machine. Through discussions with Brian Adler and Michael Lofton, we decide to focus this evening’s performance on African American social justice and equality. What is your favorite record? The Harder They Come soundtrack (Jimmy Cliff! Toots! ), Live at Roseland, NYC by Portishead, David Bowie’s Ziggy Stardust, and Metamorphosis by Philip Glass. Some of these albums I grew up with, while others were introduced to me at significant times in my life. I constantly return to them, listening to the album in entirety. Each time, I find new musical elements and textures, as well as new meanings from the lyrics. Brian Adler’s Human Time Machine. Brian has taken the time to meet with me and explore more ways to approach rhythm. Such as, focusing on syncopation as a downbeat, seamlessly switching from a triplet feel to a sixteenth note feel, and developing patterns in 5. Performing in the Human Time Machine is helping me develop my voice as an improviser. I’m interested in The Knife and MIA. Their ability to create dance songs that include a powerful political message blows me away. I love that these two artists have a sound that is so distinct, and clearly their own. I find that empowering and I hope to one day find my own. Describe Roulette in three words. What: Rising jazz trumpeter Jonathan Finlayson performs music based on select poems by Sterling Brown. Brooklyn, NY – Recognized by the New York Times as “…an incisive and often surprising trumpeter,” who is “…fascinated with composition,” Jonathan Finlayson makes his Roulette debut with a set of music based on select poems by renowned Harlem Renaissance poet Sterling Brown. Born in 1982 in Berkeley, CA, Finlayson began playing the trumpet at the age of ten in the Oakland public school system. He came under the tutelage of Bay Area legend Robert Porter, a veteran trumpeter from the bebop era who took Finlayson under his wing; he was often seen accompanying Porter on his gigs about town and sitting in on the popular Sunday nights jam session at the Bird Cage. He subsequently attended the New School for Jazz and Contemporary Music where he studied with Eddie Henderson, Jimmy Owens, and Cecil Bridgewater. Finlayson is a disciple of the saxophonist/composer/conceptualist Steve Coleman, having joined his band Five Elements in 2000 at the age of 18. He is widely admired for his ability to tackle cutting-edge musical concepts with aplomb. Finlayson has performed and recorded in groups led by Steve Lehman, Mary Halvorson, Craig Taborn, Henry Threadgill and played alongside notables such as Von Freeman, Jason Moran, Dafnis Prieto and Vijay Iyer. What: Blending old and new work from her 30-year career, choreographer Susan Rethorst creates a dance for and with performers Gabrielle Revlock and Gregory Holt. Brooklyn, NY – Stealing from Myself engages the personal archive of beloved choreographer Susan Rethorst to create new material for and with performers Gabrielle Revlock and Gregory Holt. Rethorst draws on 30 years of material to create a physical vocabulary for the two dancers – utilizing small gestures that build into a large work over 30 minutes. Rethorst strings her gestures into passages and then paragraphs that become evocative stories, exploring “movements that are like found objects,” and has no fear of making ambitious work. Some say the experience is like being transfixed by a great painting. Since 1975 Susan Rethorst has steadily created dances out of New York and Philadelphia. Rethorst’s work has been presented by The Museum of Modern Art, The Kitchen, Dance Theater Workshop, Danspace Project at St. Marks, The Whitney Museum, and others. Internationally her work has been produced by The Holland Festival, Spazio Zero Rome, The Kunsthalle Basel, The Aix-en-Provence Festival, Jerusalem’s Room Festival, and more. Rethorst has been instrumental in devising BA and post-graduate programs in Copenhagen, Cork, Salzburg, and Amsterdam. She initiated a program for the Amsterdam School of the Arts, a study of choreography in Studio Upson in Pennsylvania (SUPA), and the Center for Performance Research in Brooklyn. Rethorst was among the first to receive a New York Dance and Performance Award (Bessie) for Outstanding Achievement in 1985. In 2008, she received her second Bessie for 208 East Broadway: Suitcase Dreams. Gregory Holt is a choreographer from Philadelphia, where he also works as a community organizer. 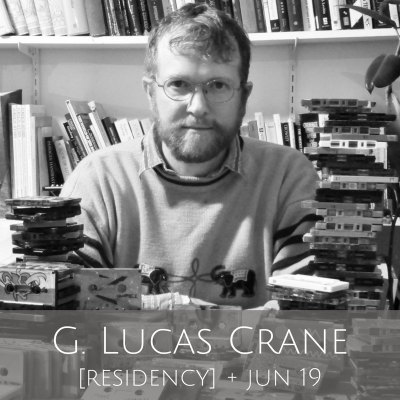 His dances are refined, process-based works, looking for social structures in somatic experience. His organizing work is in developing the local cooperative economy and direct action for climate justice. His work has been shown across the US, in Canada, and in Europe. Gabrielle Revlock is a dance-maker known for her work with the hoop and her “inventive,” “rambunctious,” and “mesmerizing” choreography. Presenters include American Dance Festival, JACK, Gibney Dance Center, FringeArts, Joyce SoHo, and Annenberg Center for the Performing Arts. Internationally she has performed in Japan, The Netherlands, Singapore, Hungary and Russia. My parents are from South India (Tamil Nadu) and immigrated to the U.S., settling in Buffalo where I was born. I was raised in the Bay Area where we did weekly devotional bhajan singing in the Indian community — where I basically learned to sing, that and choir in public school from age five. I also grew up doing Indian classical Bharatanatyam dance, which is deeply connected to the rhythms of Carnatic music and accompanied by a Carnatic ensemble — typically voice, violin, mridangam and the dance teacher intoning the rhythms on syllables. I grew up listening to a lot of that music, but also lots of classical music, jazz, R&B, metal, and punk. I got into more experimental / avant-garde music in college while studying classical music and hosting a radio show called “The Modern Age,” where I learned about a lot of music and composers such Edgard Varèse and early electronic music, Cecil Taylor, Albert Ayler, Anthony Braxton, Meredith Monk, and Giacinto Scelsi. 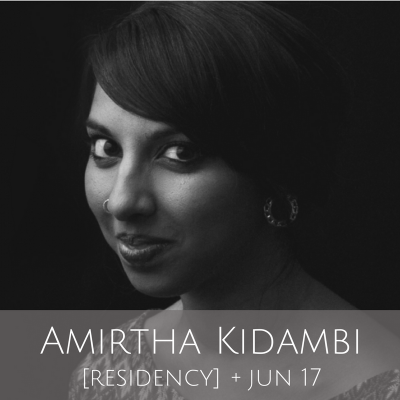 That got me interested in singing experimental music and performing the work of contemporary composers, so when I moved to New York that is what I primarily focused on, and then turned towards improvising and composing my own music. I guess I have always been interested in intensity and extremity, individuality and expression, subversion, music, and sounds that went against some kind of establishment… so all the music I was into when I was young across categories had those elements. Mostly I am focused on Elder Ones, which is the primary vehicle for my compositions but getting more used to the idea of solo work, which I found really daunting in the past. As I get more comfortable with it I am digging in deeper and think it will be a focus for me in the coming years. In recent years, I decided to only work with people who are asking me to do “my thing” within their music and have long-term existing relationships with them that will carry into the future. The music of Mary Halvorson, Darius Jones, Charlie Looker, Robert Ashley, Pat Spadine and other folks, all of it makes room for my own creativity through improvisation and expression, always in dialogue with the composer. I’ve been working primarily on new solo work and also new pieces for Elder Ones for the first concert. The solo work is really informed by my studies in India and listening to a lot of solo work by musicians I admire. I’m also incorporating some percussion using ankle bells, from my days as a Bharatanatyam dancer and using some of that rhythmic language, though it’s still in an experimental stage. For Elder Ones, I’ve been writing music in direct response to all the horrors of our time. It’s overtly “political” and I don’t really care if it’s heavy-handed. We’re “talking back” through the music about what’s going on. It’s the only thing I know to do at the moment. We also brought in some new sounds, synth and electronic Sensory Percussion, so that has been adding an interesting sonic element to weaponize. For the second one, I’m developing a vocal quintet of Emilie Lesbros, Anais Maviel, Jean Carla Rodea and Charmaine Lee (I’ll also perform in it) and an improvised duo with Lea Bertucci on analog electronics. I’m still developing the ideas for the second concert, but the general goal is to write an ensemble vocal work that gives these very unique and creative singers room to do their thing and experiment, in the context of a vocal group. I feel that improvised music, especially in the avant-garde scene is very instrument-centric, so this is an effort to build community with singers. There are some really amazing vocalists in New York right now! I was really inspired by working in Darius Jones’ vocal project Elizabeth-Caroline Unit. How did you become involved with Roulette? Roulette was one of (if not the first) venue where I was paid as a professional musician in New York. It was back in 2009 or 2010 with Seaven Teares at the Greene Street location in Soho, opening for Lee Ranaldo. Since then, Roulette has been part of nearly every major project I’ve done in New York — Dialogue Social with Muhal Richard Abrams, Robert Ashley’s CRASH, Darius Jones’ Oversoul Manual, Pat Spadine’s SheSings Herself A LittleSong, as well as the Jerome Foundation Emerging Artist Commission where I developed Elder Ones, and now the residency. I owe SO MUCH to this venue, seriously! Hard! I live in Astoria, which I really love because it’s extremely diverse and has a major neighborhood vibe. The thing that makes it worth it is the people interactions, both in the music scene and just the general weirdness of people around you. The musical community is just so incredible here. I feel like I meet new musicians who are incredible all the time and then there are people like Reggie Workman walking around who you can run into in a hallway at the New School (after our last Elder Ones rehearsal). How crazy is that? Two things… my summer in India last year had an enormous impact on what I am doing. I felt unbelievably connected to my roots, speaking my language and going to temples. I was there to study music and took vocal lessons daily with an amazing guru named Karaikal R. Jaishankar. I can really feel the traces of that in my voice, but also in how I’m thinking about music. We had some very philosophical conversations about music and the divine, what it is to express oneself and all kinds of things. I also saw a concert almost every day of the week, so what I was putting in my ears was unbelievable virtuosic Carnatic improvisation. It was just a mind-blowing summer that was life-changing in many ways. I can really feel its influence, particularly in my solo work. I came to New York for grad school and got increasingly interested in new music and started working with a lot of composers. As I was doing that, I was also improvising and learning a lot about my own voice, not just as a singer but as an artist. I learned a lot about myself through collaboration with other amazing artists in New York and eventually wanted to break free from always interpreting the work of others and write my own. I had been writing “songs” on and off for years, but they never really felt totally right. At Brooklyn College we had this amazing little cadre of performer-composers called the Sweat Lodge, where we wrote and performed each other’s work. That was when I first started using harmonium outside of the Indian music context and started to write music that sounded more like “myself.” Free improvising with other musicians taught me so much and continued to expand my vocal vocabulary and through adapting to the individuality of others, I started to find myself in juxtaposition. The more I focused on improvising, the more apparent my inclinations and my vision as a composer started to gain some clarity and momentum. I started writing pieces for voice and harmonium and then through the Roulette commission in 2014, I started writing the music for Elder Ones and we did our record in 2016 and having been active since then. Who would you ideally like to collaborate with and why? Honestly, I am so happy and excited about the people I am collaborating with now that it’s hard to say. Mary Halvorson, Charlie Looker, Darius Jones, Lea Bertucci, the amazing improvising vocalists I’m going to work with for the second residency concert in June, Emilie Lesbros; Anaïs Maviel; Charmaine Lee; Jean Carla Rodea and of course my band Elder Ones with Max Jaffe and Matt Nelson, who have been in the original line-up and the powerful additional of Nick Dunston; the folks in the Ashley project; Dave Ruder, Gelsey Bell, Aliza Simons, Brian McCorkle and Paul Pinto…I couldn’t be more excited about the people I already get to work with. The collaborations have literally everything to do with who I am as a musician and what I’m doing. If I had to say someone new…I would say Jen Shyu. I think what she does as a vocalist is very in line with what I want to do in my own way. She is so inspiring! How long have you lived in New York City and what brought you here? Nine years, which is crazy! I came under the guise of going to school, which was great, but really just to do music and work with people in the scene here. Also pizza?